This small seabird is known from a single colony on Codfish Island and it is stuck in a classic Catch-22 situation. It is either very closely related to the South Georgian diving petrel and therefore numerous elsewhere, or may be a distinct species and therefore Nationally Critical. It nests in burrows in sand dunes, which are being wrecked by exotic grasses, threatening breeding. It needs its taxonomy resolved now so we can work out what resources to throw at it. 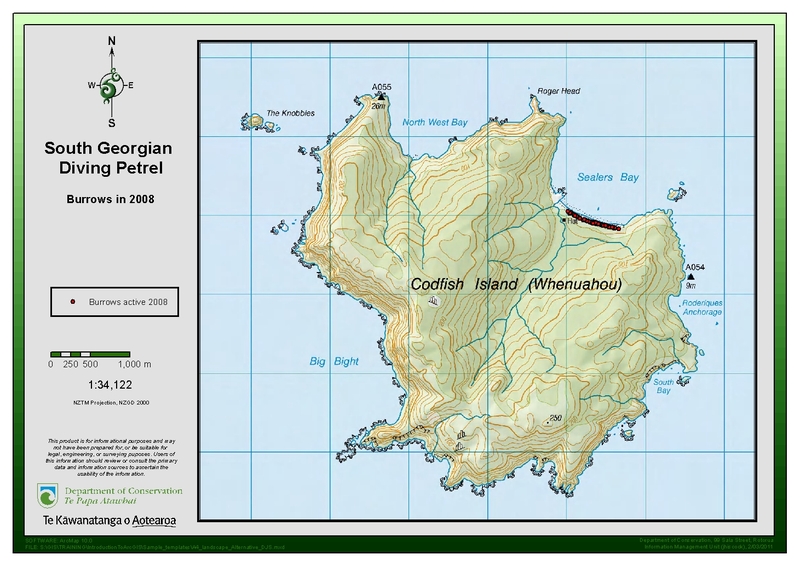 South Georgian Diving Petrels were discovered breeding in burrows in the dunes of Sealers Bay on Codfish Island in 1978. This is the only colony of SGDP in New Zealand, with the population estimated at 100-200 individuals, or approximately 75 active burrows. While globally SGDP have an IUCN ranking of ‘least concern’ with a population estimate of 15 million, the closest breeding colony to Codfish is Heard Island, more than 7000km away. Preliminary molecular research suggests that the SGDP on Codfish have diverged from the ancestral population 700,000 – 800,000 years ago, and is a distinct evolutionary unit. However as Diving Petrels are a very ancient group, there may be long branches and deep divergences within the genetic structure that aren’t necessarily indicative of different species. 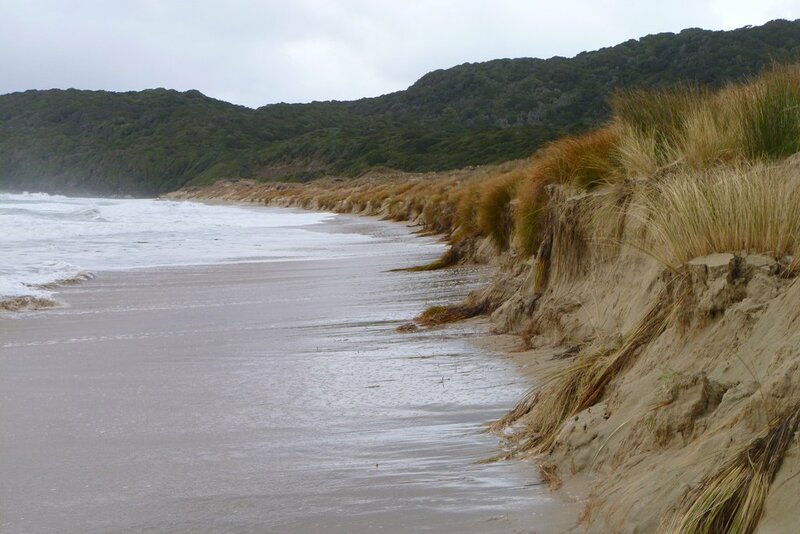 100 years ago exotic grasses invaded the dunes at Sealers Bay, and are now everywhere except for the very unstable and active foredune. This has stabilised the back dunes and is allowing succession of other plants. SGDP burrow in open ground with little or no plant cover throughout their range. 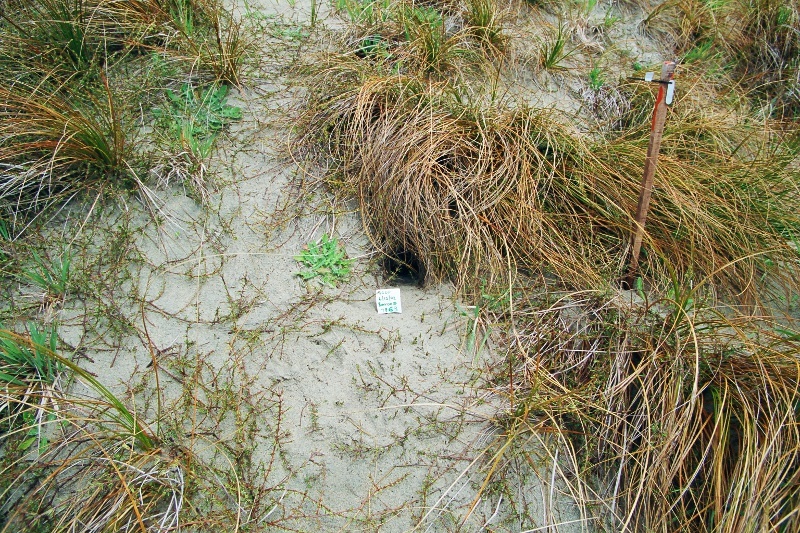 As a result of the invasion the SGDP are forced to burrow in the foredune. In 2003 an easterly storm hit the island and the waves removed approximately 24,000 cubic metres of sand from the foredune. All burrows within 10 m of the dune edge were destroyed, approximately 40% of those known. Jo Hiscock at DOC has proposed some DNA work to determine if this is a separate species, and then a plan for restoring the breeding site can be made. Jo Hiscock and Bruce Robertson at Otago University have collected samples from various populations of SGDP and also related common diving petrels (CDP) from around New Zealand. As at May 2011, the mitochondrial (cytochrome b: 1143 bp) and nuclear (β-fibrinogen: c. 950 bp) gene DNA sequences have been investigated and are hoped to be finalised soon. The project budget is $7500, funded by Fauna Recovery new Zealand.